Within a day of arriving on the Mediterranean island of Malta on their southbound migration last August, three of 18 white storks were shot and killed by poachers. Less than two weeks later, just one of the birds was left alive. By Aug. 29, 19 days since the flock arrived, all of the birds had disappeared. Malta is a stopping-off point for some 170 species of birds from at least 48 different countries migrating between Europe and Africa. 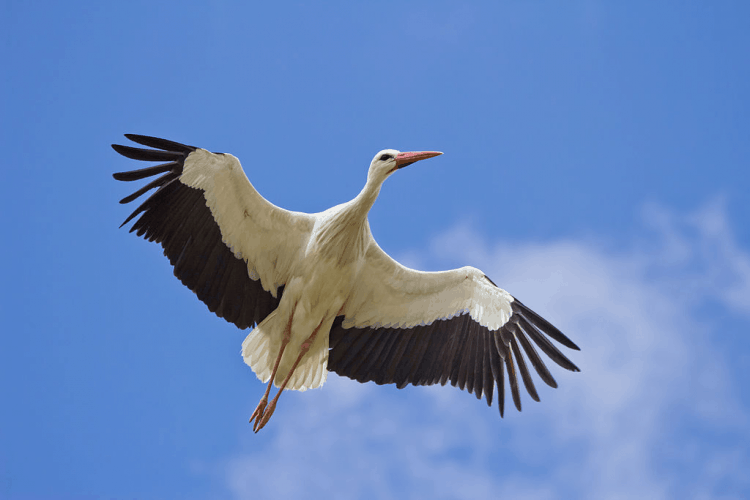 White stork by Carlos Delgado via Wikimedia Commons (CC By-SA 3.0). The vast majority of these birds, including white storks (Ciconia ciconia) and black storks (Ciconia nigra), are strictly protected under the European Union’s Birds Directive of 1972. But in Malta, poachers kill or capture up to 200,000 wild birds every year: shooting them for food, taxidermy or simply target practice, or trapping them to keep as pets or live hunting decoys. Black stork in flight. Image by מינוזיג – MinoZig via Wikimedia Commons (CC By-SA 4.0). Across the wider Mediterranean, poachers kill and trap between 11 million and 36 million birds annually in 26 different countries. Between 5.5 million and 14.5 million of these birds are poached in nine EU member states, including Malta, Italy, France and Cyprus — countries with comprehensive bird conservation laws that ostensibly prohibit the killing or capture of migratory species, similar to the Migratory Bird Treaty Act of the United States. In Malta, shooting of protected species can lead to fines of more than 10,000 euros ($11,500) and the loss of hunting licenses, with prison sentences for repeat offenders. Yet the problem persists: 2018 was the worst year since 2012 for the poaching of protected bird species, with 114 individual birds confirmed shot, including storks, harriers and falcons, according to BirdLife Malta. Despite this high number, fewer police cases have been booked in 2018 than in 2017. “The number of cases related to hunting and trapping brought forward by police to court was 40 in 2017. 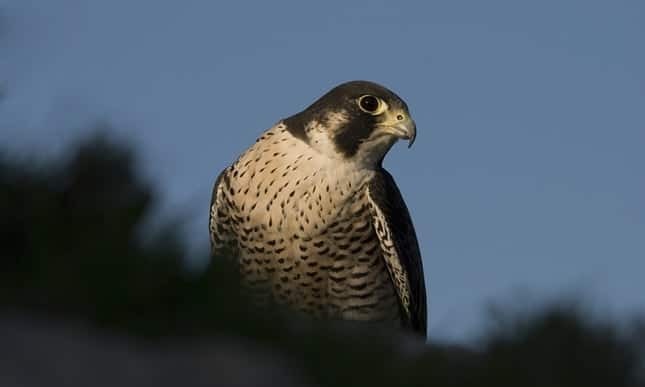 In 2018, as of October 17th, the number was 11,” said Nicholas Barbara, conservation manager of BirdLife Malta. While some poachers shoot wild birds, the more widespread, and mostly illegal, practice in Mediterranean countries is the use of traps and nets. This is especially common during migration, when birds concentrate in high densities along migratory flyways crossing the Mediterranean. For instance, to capture finches, traditionally kept as caged pets, Maltese bird trappers use clap-traps, a device that consists of a large panel of netting that springs upward and catches birds that land on its surface. When Malta joined the EU in 2004, it was given five years to phase out the practice of trapping finches, which is illegal under the Birds Directive. But the Maltese government didn’t do enough to enforce the issue, Barbara said, and from 2009 onward, illegal trapping continued unabated. Moreover, in 2014 the ruling Labour Party passed legislation to legalize finch trapping. Barbara said he believed this was done to generate broad support within the Maltese hunting community during elections. To legalize finch trapping within the framework of European law, Malta used a legal maneuver called a derogation, which is a partial suppression of a law, by claiming that finch trapping was a traditional practice in the country and thus allowed under Article 9 of the European Union’s Birds Directive. Finch trapping in the north of Malta. Image by BirdLife Malta. Conservation NGOs oppose bird trapping for a number of reasons. Traps can capture large numbers of birds and are also non-selective as to the species they catch. Finch trapping also creates a demand for live finch decoys, which supports an illegal wildlife trade between Malta and Sicily. In 2016, BirdLife Malta and the Committee Against Bird Slaughter conducted an aerial survey to see the habitat damage that trappers cause by clearing vegetation, and found trapping sites within EU-designated nature reserves known as Natura 2000 sites. 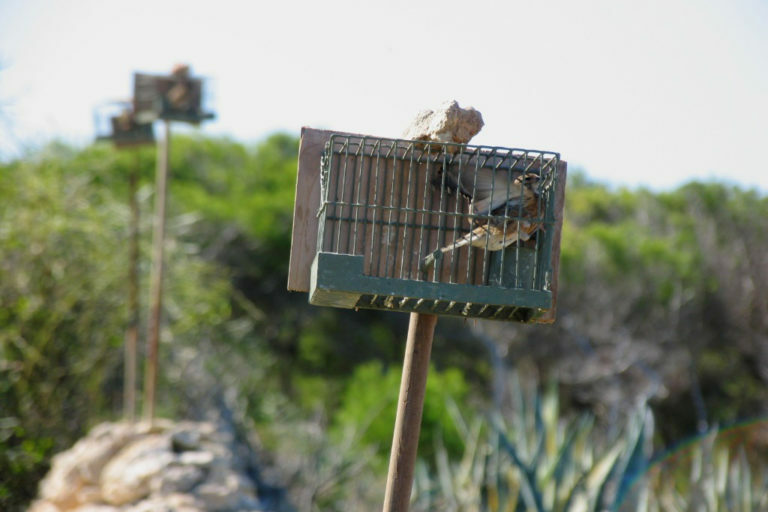 In what’s considered a landmark case, the European Court of Justice (ECJ) in June last year ruled against Malta for its derogation allowing finch trapping. 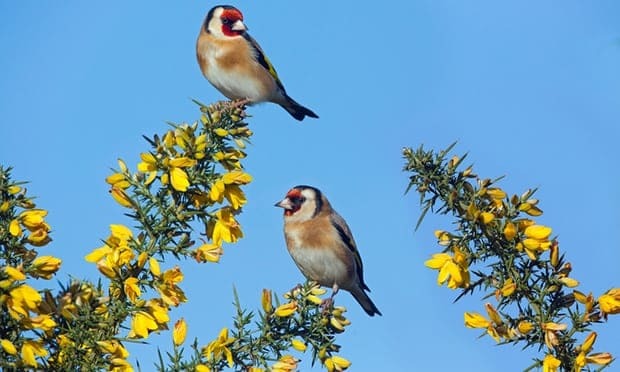 It said finches could not be hunted under the European Birds Directive and could not be trapped by way of a derogation. Hunting associations in Malta, which has about 10,000 licensed hunters, disagreed with the decision. Malta faces an infringement procedure and subsequent daily fines which could amount to more than a million euros ($1.15 million) if it fails to comply with the ECJ’s ruling to end finch trapping permanently. 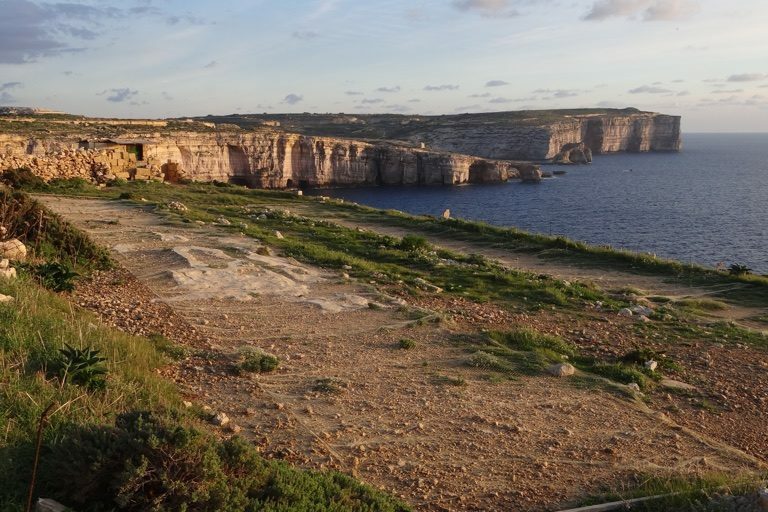 So far, Malta seems to be complying — the island nation did not set a derogation for finch trapping in fall 2018. But the country used another derogation in 2018 allowing the legal trapping of two other species, the song thrush (Turdus philomelos) and golden plover (Pluvialis apricaria). Alexander Heyd, secretary-general of the Committee Against Bird Slaughter, says he believes Maltese trappers will use legal derogations as a smokescreen to continue illegally trapping finches and other protected species. While nearly 2,000 legal trapping sites were permitted for 2018, the Committee Against Bird Slaughter has documented more than 30 cases of illegal trapping, including the trapping of finches and nighttime use of electronic bird callers, since the trapping season opened on Oct. 20. Heyd said illegal bird trapping remained the most problematic type of poaching in Malta, partly because legal and illegal trapping sites were difficult to differentiate. 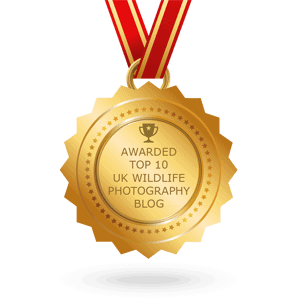 “The fines for illegal trapping are incredibly low. Several hundred euros for a huge net for trapping finches. And they seize the net and revoke the trapping license for a year and that’s it,” he said. This reporter contacted the Wild Bird Regulation Unit (WBRU), the government agency responsible for implementing conservation and sustainable-hunting policies, but was told that the agency’s acting head, Richard Lea, was away for several weeks because he was himself trapping birds under the legal derogation. The ECJ’s decision increases the stakes for the Maltese government to enforce hunting laws and the current legal derogation. A government spokesperson said agencies such as the WBRU already carried out various kinds of patrols and checks. Bird trapping site in Gozo, Malta. Image by BirdLife Malta. The use of derogations to permit the hunting of otherwise protected species isn’t limited to Malta. In southwestern France, a derogation allows for the annual trapping of a million Eurasian skylarks (Alauda arvensis), a species in critical decline across Western Europe. A similar derogation in the French region of Provence allows for the indiscriminate trapping of birds using limesticks, seen as a particularly inhumane method that involves a stick covered in glue and which is allowed nowhere else in Europe. Heyd said he was hopeful about the recent ECJ decision. “Now we have a court case and we can tell every other country, like France and Spain and also Italy that they can make derogations for huntable species but not for non-huntable species,” he said. Spain, which was hauled before the ECJ in 2004 for failing to enforce bird poaching laws, responded to the recent ECJ decision against Malta by immediately making finch trapping illegal in the country — evidence that the decision is being taken seriously across the European Union. Overexploitation is one of the primary threats to birds globally. Eighty-two species of birds may be legally hunted within the EU, but officials don’t keep a tally of each year’s take. 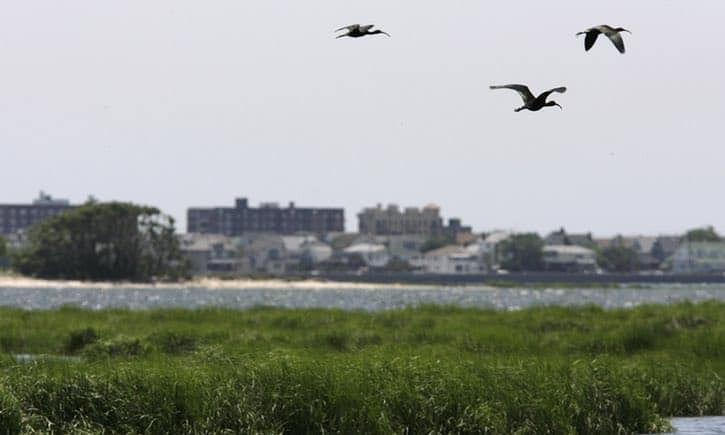 Scientists say the absence of this data may inhibit effective conservation. In a 2017 study, the Committee Against Bird Slaughter estimated that legal hunting in Europe accounts for at least 53 million bird deaths per year, bringing the total number of birds harvested in the Euro-Mediterranean to between 64 million and 89 million birds per year. Malta presents a microcosm of the greater issue of bird poaching in the EU and the Mediterranean. Poaching has declined in the country over the past 15 years through creative and persistent field work by activists, evolving attitudes and missions of some of Malta’s hunting associations, and the implementation of EU conservation legislation. However, the lack of enforcement of environmental laws continues to enable the illegal capture and shooting of possibly hundreds of thousands of birds per year in Malta, and tens of millions across the Mediterranean. 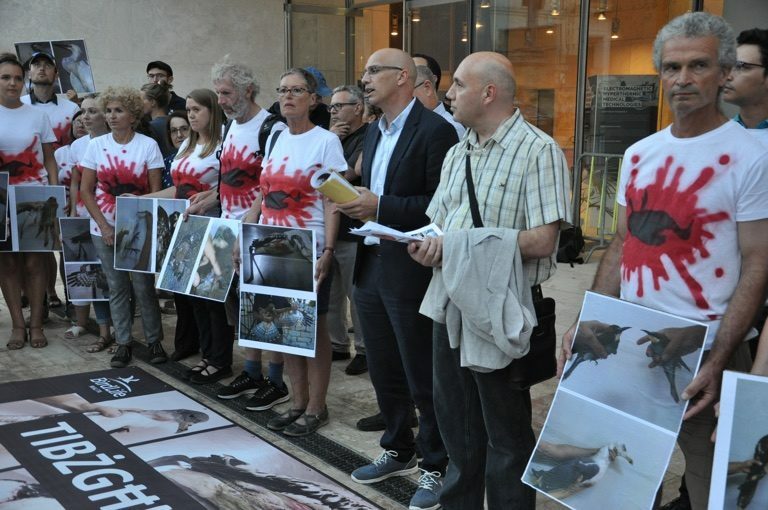 Protest against illegal hunting of birds in Malta. Image by BirdLife Malta. 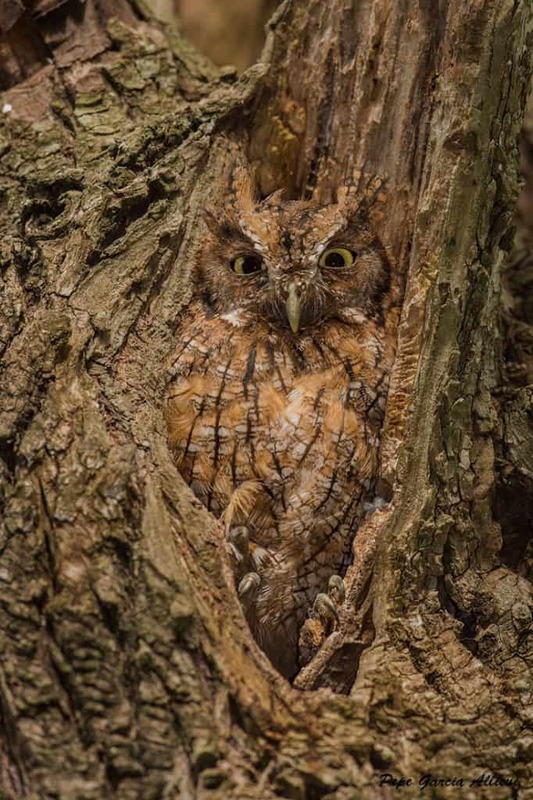 This article was written by Jason J. Gregg and published on Mongabay.com on 11 Jan 2019. We invite you to share your opinion whether Malta should be allowed to trap and slaughter migratory birds? 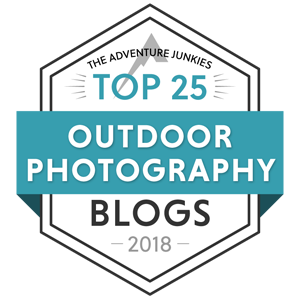 Please vote and leave your comments at the bottom of this page. Should Malta be allowed to trap and slaughter migratory birds? POLL: Should birds be killed around airports to avoid bird strikes?